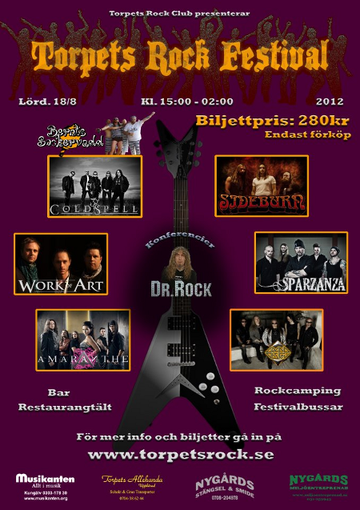 Torpets Rock Festival will be held at Torpets Rock Club in Sweden on August 18th. COLDSPELL, SIDEBURN, WORK OF ART, SPARZANZA, AMARANTHE and GRAND DESIGN will perform there. For more info at Torpets Rock Club website.